For a successful skiing holiday, rent the accommodation to Champagny-en-Vanoise which is situated in the mountains Northern Alps, Savoie. This skiing resort is well known for its beautiful surroundings and breathtaking landscape. Booking to Champagny-en-Vanoise is easy and convenient and can be done either by phone or via our website. 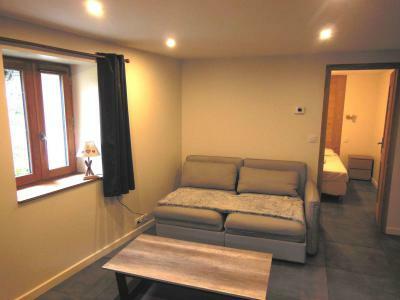 Each accommodation shown online is available for rent, just select the date and start date of your holiday at to Champagny-en-Vanoise to find out the cost. Don't hesitate, now is the time to ski ! The chalet Vieux Moulin is an old mill, fully renovated in individual chalet, situated next to the river "le Reclaz". You will found the restaurants, shops, cinéma, 200 m from the chalet. 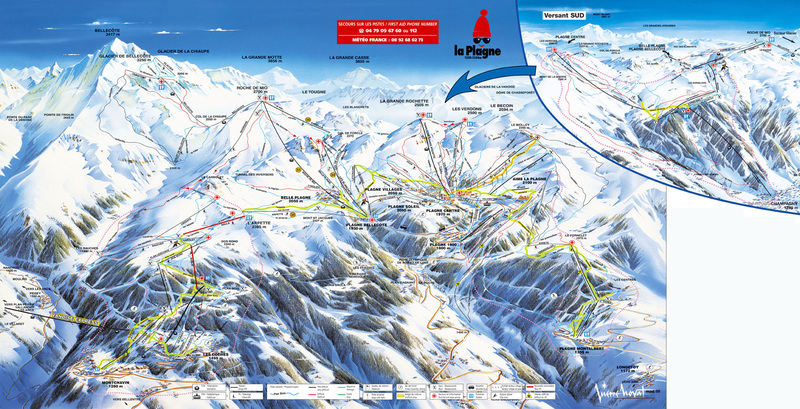 The minimarket and nightclub are located 250 m from the chalet. You will be 300 m from the cable car to go to the ski area. You will found the shuttle stop 50 m from the accommodation. Chalet le Sapé is an old rural house in the village of Champagny-en-Vanoise, which was renovated with taste in 2015. By its characteristics of "country house", Le Sapé is a very comfortable cottage and comfortable. Located about 600 m from the village center, shops and the departure of the slopes and on the edge of the old village. You will benefit of a beautiful view of the mountains. Free bus during the winter season. 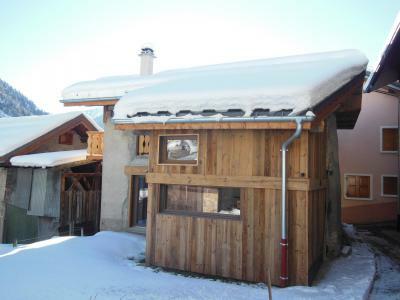 Well equipped chalet with three apartements. 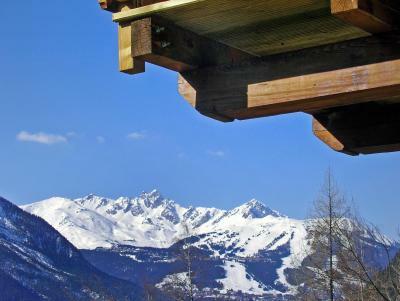 Nicely situated on the hillside on the upper outskirts of Champagny with a spectacular mountain view. You can reach the village center (shops, restaurants, pubs, cinema) as well as the express cable car and ski run either via free skibus, or in a 5-10 min walk. Grocery about 650 m away. 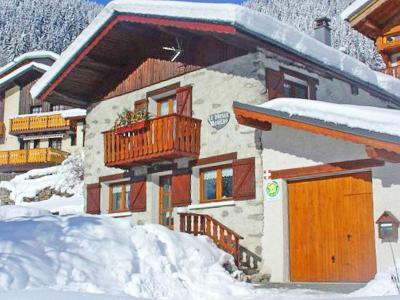 Residence "Les Clarines" at the entrance of Champagny, is located about 800 meters from the village center and its shops, the gondola and the ESF ski school. There is a free shuttle running back and forth from the residence to teh gondola during the winter season. Both North and West facing, it provides a view over either Courchevel (West) and the village and its church (North). You'll have to walk up a few stairs or a walking path to reach the residence entrance. Free parking to be found below. The Maison Massoulard is a beautiful village house composed of 2 apartments. It is located about 700 m from the center, the shops and the departure of the slopes, a free shuttle stop during the winter season at a few meters, allows not to take your car. A grocery is 200 m away and the bakery 500 m. Private outdoor parking in front of the house. 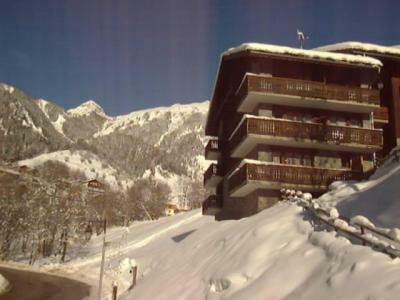 Residence Le Centre (with lift and indoor car park) is located in the very centre of the resort of Champagny (La Plagne-Paradiski area). It is conveniently located close to the shops, restaurants and cinema.The gondola to the slopes is to be found 100 meters away. 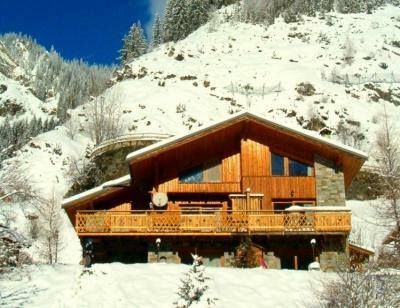 This comfortable chalet is in Champagny en Vanoise which is part of the La Plagne and Paradiski areas. The chalet is built in the traditional style with both wood and stone. It has a fire place, a sauna and a games room with a pool table. There are three units that can sleep respectively 8-9 people, 8 people and 6 people. The professional standard kitchen and the dining area are communal for the three apartments. If rented as a whole united the maximum capacity allowed is 20. The kitchen is well equipped with several fondu and raclette sets. The chalet is located on a south facing slope overlooking the village and with a fantastic view of the Grand Bec and Courchevel. There is a free shuttle to the village which stops 50 m from the chalet. There is also a bakers and a small supermarket 400 - 500 m from the chalet. 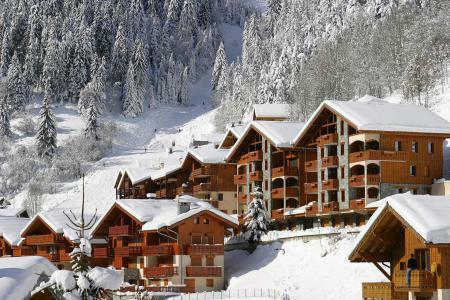 Ideally situated 50m away from gondola and a short 2-minute walk from the centre of Champagny, les Hauts de Planchamp, is a complex which comprises of chalets and apartments. Their terraces are southfacing and offer a panoramic view of the surrounding village and mountains. Le Roselin is a beautiful residence located in Les Hauts du Crey neighourhood,close to the ski resort center and 200 meters from the gondola which allows you to go to Champagny - La Plagne - Paradiski ski area. The residence Tour du Merle is situated at the top of the Champagny en Vanoise, next to the ski school and cable car of the La Plagne/Paradiski area. 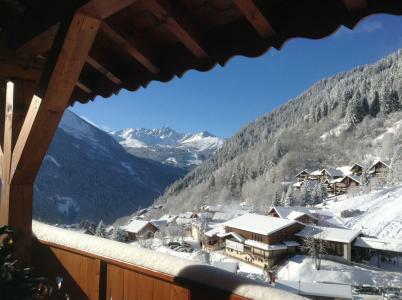 You will benefit of a wonderfull view on the village of Champagny and Courchevel valley. The apartment have large balconies and terace with a good sushine.This residence with a south exposure and lifts is located 400 m from the shops and resort center.